Yianis Tokalatsidis | A logo. Nathalie Borst is a French artist who creates ceramics forms and conceptual photographs. 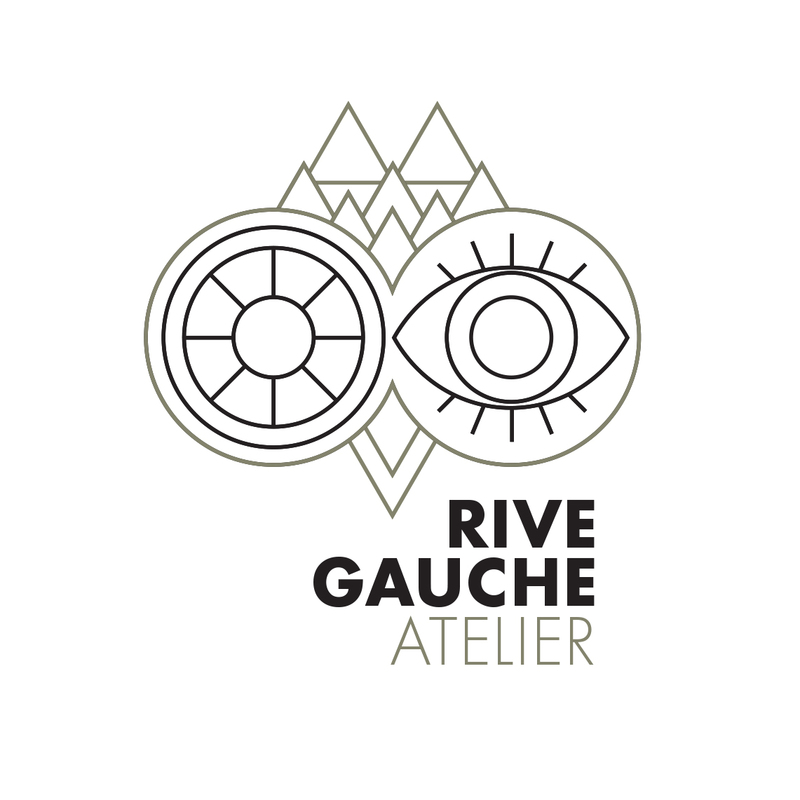 This is the logo for her atelier at Rive Gauche in Paris. The owl, a symbol of wisdom, perspicacity and versatileness, standing at the left of “Rive Gauche” and looking with different eyes. One of them has a motive, a composition, a construction and refers to ceramics. The other is an open eye and refers to the visual snapshot of information.